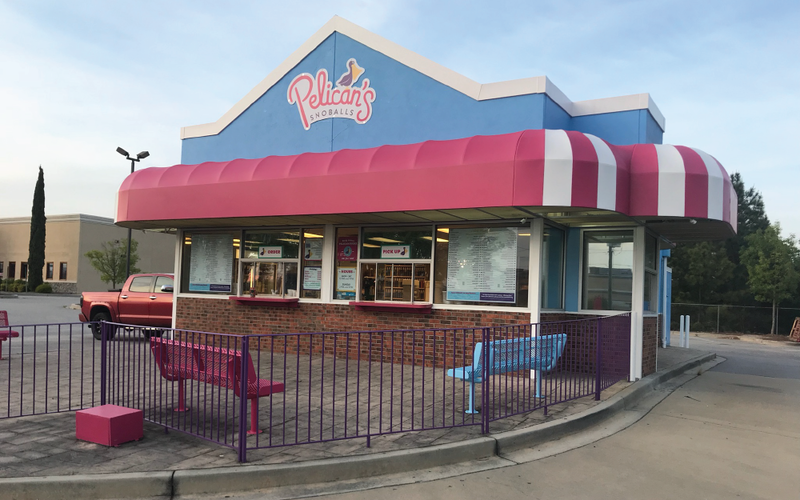 A southern favorite for the last 15 years with 143 locations (and counting), Pelican’s SnoBalls was in desperate need of a brand refresh. 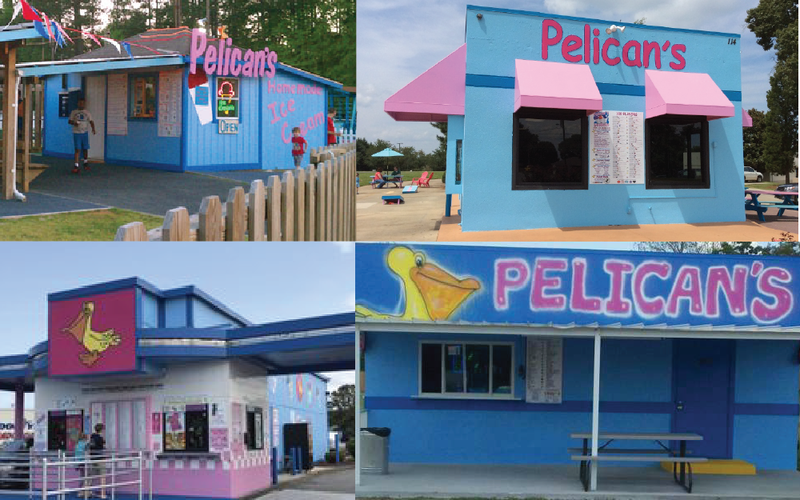 The three mandatories from the outset were the use of some iteration of pink and blue from its original look as well as a nod to Mardi, the famed company mascot. 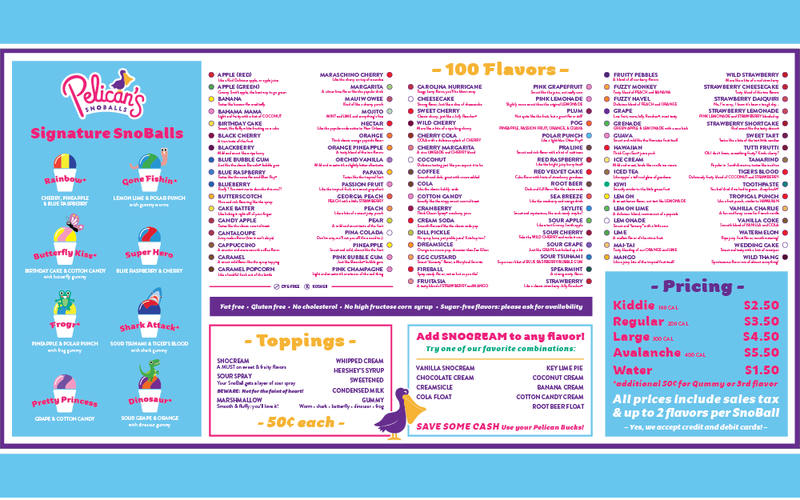 Custom hand-lettering became the star of the new logo, Mardi was re-illustrated in colorblocked simplicity perfect for replication on collateral items, and–drawing inspiration from the shaved ice company’s New Orleans roots–a bright and vibrant secondary palette of gold, purple and green was brought into the mix to complement the widely recognized blue and pink primary palette. Fun, energetic, joyful, innocent. These were the four words we set out to fulfill with the rebrand, and we couldn’t be happier with the end result. 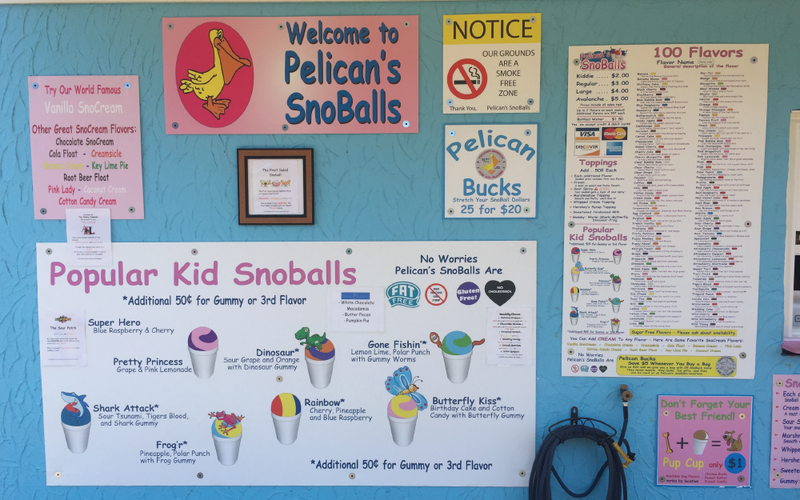 Pelican’s SnoBalls was a collaborative project that I worked on with Uncompany‘s Maari Casey. Illustrations by Marie Hermansson.